[German]As of April 9, 2019 (second Tuesday of the month, Patchday at Microsoft), Microsoft has released several security updates for supported Microsoft Office versions and other products. [German]As of April 9, 2019, Microsoft released numerous security updates for Windows clients and servers, Office, etc. Here is a compact overview about these update. [German]On the first Tuesday of the month (Office Patchday), Microsoft released some non-security updates for Microsoft Office 2010, Office 2013, and Office 2016 on April 2, 2019. [German]It is reported, that Mozilla had to stop the rollout of the newly released Firefox 66 browser. The reason is an incompatibility with Microsoft PowerPoint Online. [German]As of March 12, 2019 (second Tuesday of the month, patchday at Microsoft), Microsoft has released several security updates for supported Microsoft Office versions and products such as Sharepoint. [German]As of March 12, 2019, Microsoft released numerous security updates for Windows clients and servers, Office, etc. Here is a compact overview about these update. 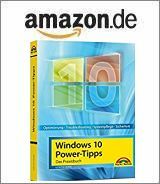 [German]On March 5, 2019, Microsoft released several updates for Office 2010. I now have some information that Outlook 2010 can no longer receive e-mail from POP3 e-mail servers. [German]On the first Tuesday of the month (Office Patchday), Microsoft released some non-security updates for Microsoft Office 2010, Office 2013, and Office 2016 on March 5, 2019. [German]On the first Tuesday of the month (Office Patchday), Microsoft released some non-security updates for Microsoft Office 2010, Office 2013, and Office 2016 on February 5, 2019.